The city of Colombo offers historical monuments, colonial architecture, festivals and events, beaches, and fine dining, and shopping. With so much to see, do, and experience in Colombo, it can sometimes be difficult to find all that you need to know before or even during your visit. Located some 35km north of Sri Lanka's largest city, Colombo, is Bandaranaike International Airport, the main gateway to the island nation for travellers from across the globe. The base is served by a number of major airlines, including Emirates, Etihad Airways and Cathay Pacific. National carrier SriLankan Airlines provides a direct link to the destination from London Heathrow. A range of services and amenities are available to international travellers arriving at Bandaranaike International Airport, including banks, currency exchange desks, a post office and a medical centre. Duty-free shops sell Ceylon tea, local handicrafts and other souvenirs, while restaurants, coffee shops and bars offer a range of local and international foods, drinks and snacks. Travellers can make their way to Colombo and other destinations in Sri Lanka via the transport links available from the airport, which include shuttle, train, bus and taxi services. Colombo is often thought to be the administrative capital of Sri Lanka but that role is in fact filled by Sri Jayawardenapura Kotte, a satellite city of Colombo. It is, however, the country's largest city, with a population of some 650,000 people. More than 5.6 million citizens live in the wider metropolitan region, which encompasses the districts of Colombo, Gampaha and Kalutara and covers an area of almost 3,700 sq km. Colombo is the commercial heart of Sri Lanka and consequently a busy and vibrant city, boasting striking symbols of economic prosperity and success such as the World Trade Centre, the second tallest building in south Asia. The city is also home to a large harbour, diverse architecture, museums, religious buildings and other attractions where visitors can seek out memorable experiences. Travellers who want to start their trip to Colombo by learning more about Sri Lankan culture and history can pay a visit to the National Museum. The institution boasts a collection that includes ancient paintings, sculptures, sketches and other works dating as far back as the fourth century BC. Another experience not to be missed is taking a tour of the city's religious buildings. Highlights to look out for include the Gangarama Vihara, a temple decorated with ornate brass work, stone carvings and Buddhist art. The Isipathanaramaya temple is known for its beautiful frescoes, while the Wolvendaal church serves as a symbol of the time Sri Lanka spent under Dutch rule from the mid-17th to the late-18th centuries. 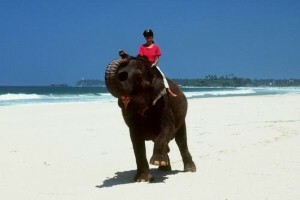 The elephant is one of the most famous symbols of Sri Lanka and travellers can take a day trip out of Colombo for a close encounter with the impressive beasts at an orphanage in Pinnawela. Visitors to the site can feed baby elephants with giant milk bottles before treating the lovable creatures to a bath. Families can spend a fun and memorable day at Leisure World, the country's first amusement and water park. The complex boasts log flumes and other aquatic attractions that will help guests cool down on a hot day, as well as rollercoasters, games and other features to entertain young and old alike. One of the most impressive views in Colombo can be enjoyed at Galle Face Green as the sun is setting. This long stretch of lawn facing the ocean is a particularly popular meeting point at weekends, with locals and tourists gathering to relax, enjoy walks along the promenade and tuck in to food provided by the numerous vendors who set up along the seafront. Don't miss the opportunity to try kothu rotti, a quintessentially Sri Lankan foodstuff that consists of a special type of bread combined with vegetables, egg or meat and flavoured with tasty spices. 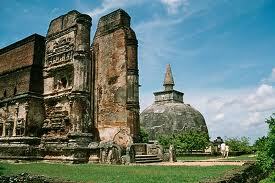 Travellers can expect warm weather whatever time of year they choose to visit Sri Lanka. The city's tropical climate provides fairly steady temperatures throughout the year, ranging from average lows of 23 degrees C to typical highs of 31 degrees C.
Holidaymakers who do not want to get wet should avoid the monsoon seasons, with the heaviest rains normally falling in April, May, October and November.